When moving away from your computer, it is important that you lock the system. This ensures that no one will access the system without permission either intentionally or unintentionally. In Windows, there are quite a few ways you can lock the computer. Here, let me show you 5 of the must know ways to lock Windows 10 computer. Note: The below shown methods will work in older Windows versions like Windows 8 and Windows 7. Windows has a built-in keyboard shortcut to quickly lock your computer. In fact, this is the most useful and easy to use Windows 10 keyboard shortcut you should know. To lock the computer, simply press the keyboard shortcut Win + L and Windows will lock itself. No matter what application you are using or what you are doing, the computer will instantly lock itself. To unlock, you can use your regular authentication method like password, pin security, Windows Hello, etc. It is a lesser known thing but the start menu has a hidden option that lets you lock Windows 10 PC with just two clicks. This is quite useful if you are a heavy start menu user. To lock the PC using the start menu, open the start menu by clicking on the start menu icon or by pressing the start button on your keyboard. 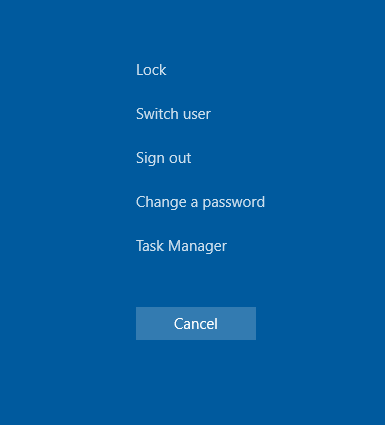 Once the start menu has been opened, click on your user account icon appearing to the left side and select the "Lock" option. As soon as you click on the option, Windows 10 will be locked. To unlock the system use your password or pin. This is yet another lesser known way to lock the Windows 10 computer but you can actually use the Ctrl Alt Delete shortcut. Generally, this keyboard shortcut is used when there is an unresponsive program that froze the entire system and is preventing you from using it. In case you don't know, when you press this keyboard shortcut, Windows is forced to take you to a special screen from where you can launch the task manager, switch user or sign out from the current user account. To get started, press the Ctrl + Alt + Del on your keyboard. Next, in the special screen, click on the "Lock" button and you are done. As soon as you press the button, Windows 10 will be locked. You can unlock it using your password, pin, or Windows Hello authentication. 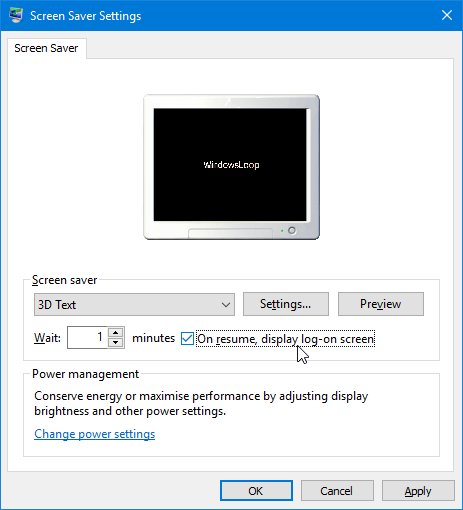 Windows has a built-in screen saver tool that shows photos and other images when the system is idle. Nowadays almost no one uses the screen saver tool. But the thing is, using the good old screen saver tool, you can make Windows lock itself after a certain time of inactivity. To use the screen saver tool, open the start menu, search for "Turn screen saver on or off" and click on it. Now, select a screen saver from the drop-down menu, enter how much idle time it should way in the blank field, select the check box "On resume, display logon screen" option and click on the "Ok" button. That is it. From now on, Windows will lock itself after the configured amount of idle time. An alternative to the screen saver method, you can also configure the Windows 10 system to automatically lock itself after some inactivity time using group policy or registry editor. For instance, I configured my system to lock after ten minutes of inactivity. What this means is that if I move away from the system or not use it for 10 minutes, the system will automatically lock itself.